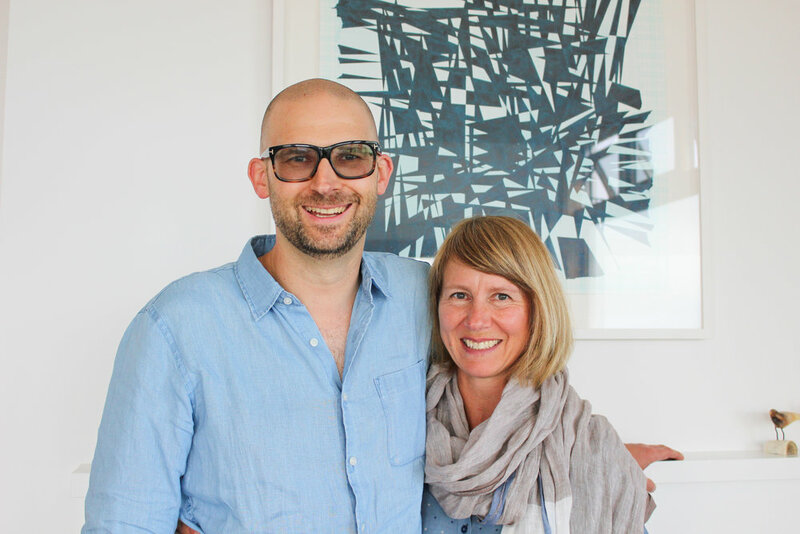 Justine and Jonathon are two-thirds of Kept, a New Zealand company that designs “beautiful accessories, made to the highest standards from the finest raw materials”. They kindly let me into their house in Brooklyn (which is, just by the way, very beautiful), fed me a homemade melting moment, and spent two precious hours of their weekend chatting away to me. It was a glorious time in my life, and in between getting the low down on what Kept is all about I also patted the cat, ate the delicious melting moment, and touched every scarf and insanely soft pair of gloves I could lay my hands on. 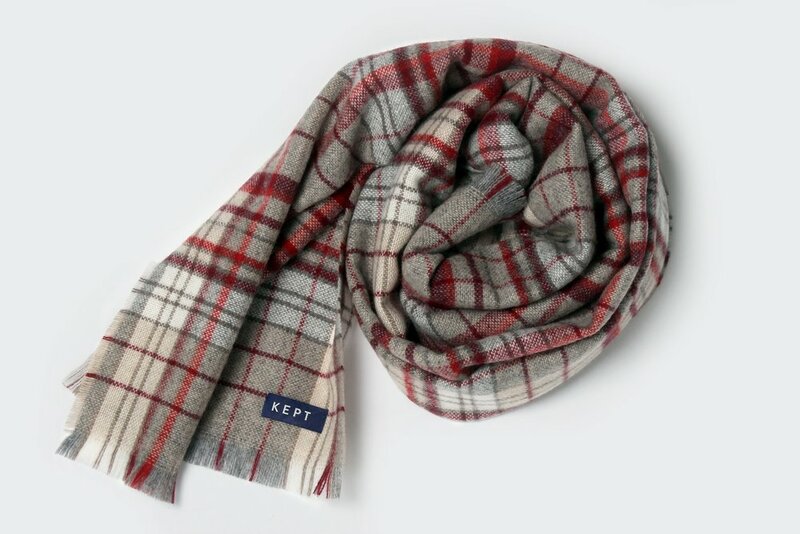 Kept is founded on the principle that you should buy fewer, better things and keep them in your wardrobe forever – thus the name. The website states that they “consider the impact of every decision” and as a person who chose Be Thoughtful as her 2018 resolution, I was intrigued. Every decision? Really? I’ve lapsed about 7,000 times since the start of January, so being mindful about every decision seemed tough. Well, turns out I just have a long way to go in my mission to be more reasoned and measured, because Kept has thought about everything, all the way down to whether or not to use tissue paper in their packaging (did you know it’s not recyclable?). It took, quite literally, months to choose the right packaging for Kept. Now, if you order one of their beautiful scarves or pairs of gloves, it will arrive in an envelope designed and made for you by Kept. Meanwhile, I’m over here still occasionally eating chocolate for dinner and watching Netflix instead of having a good night’s sleep. However, the story of Kept starts decades ago and, delightfully for us, it starts with a fashion love story. Having realised that a BCom was not for him (well done sir), Jonathon moved into a fashion degree and started his own streetwear label down in Christchurch, called Subvert. Justine was a customer, and after meeting at a concert, her love of his designs turned into a mutual love of each other. By this point I was a living heart-eye emoji, just saying “awwwww!” every five words like an idiot. Eventually Jonathon wrapped up his business and moved to Crane Brothers (and since, Rembrandt, where he is now) and they shifted to Auckland for a wee while until they finally came to Wellington 11 years ago. The missing leg to this three-legged stool, Brian, is still based in Christchurch and has been a friend for 20 years, from the days when he shot photos for Subvert. From such foundations a great business partnership is born, in this case due to three people having a seemingly boundless amount of creative energy and drive. Jonathon and Brian both separately found themselves pondering what else they could do (this is in addition to full time jobs, family, interests…y’know, they had acres of spare time here), and then spent 18 months thinking about what would be a good fit. The lightning bolt came on one of Jonathon’s regular trips to Italy, when he bought a beautiful scarf – promptly commandeered by Justine – and realised that this was a great opportunity. He’d seen stalls selling immaculate scarves in the immense vintage sections at the fabric fairs he attended in Milan and realised they were always timeless and relevant. Obviously, I listened to this origin story in a haze of intense personal jealousy. Where was this information when I was meeting with my careers advisor at Cambridge High School in 1999? It isn’t just Kept that has a history of personal affection and connection stretching over decades in New Zealand – in fact, they use artisans in Italy and Germany who have owned their fabric mills for 4 or 5 generations. The beauty of using these old family businesses is many-fold. They have been through the evolution into an environmentally sustainable business, with the water coming out of the combing mill now cleaner than the water going in (bit of a change from the olden days, when the scum and foam reached up to the bridges over the river). They’re hyper reliable, able to do small runs – they’ll make six of a design, if that’s what their customer needs - and they’re ceaselessly welcoming and friendly. One suspects the business lunches are remarkable. They understand the spirit of what Kept is trying to achieve, coming from a place of deeply embedded history and a tradition of craft. Think about it like this – the factories Kept works with in Como are built there because in 1400AD – a casual 600 years ago - the Duke of Milan started planting mulberry trees there, which is the diet of silk worms. The soft finish on their cashmere scarf is achieved by using thistle heads to gently brush the scarf. It’s truly mind-blowing and gorgeous. That approach to business has also played out in how Kept engages with its customers. While social media remains an important part of any brand’s engagement strategy, it’s coverage in weekend papers that led to an 80 year old woman buying a pair of Kept’s leather gloves. Imagine the pure cuteness of that woman contacting the paper to find out how she could go about buying the lovely gloves she’d seen! Or the young man in his twenties, buying a pair of those gloves for his wife for their third wedding anniversary (that’s leather – and a very sophisticated choice on his part, I must say). I love those stories, and they’re a great reminder that not everyone is trawling Instagram or Facebook. We reflected, over aforementioned melting moment, that print media is kind of like the original Facebook algorithm. You read the things you like, they tell you about things you like, you trust the source because it’s showing you things you like, so you read more about the things you like. Justine and Jonathon are very aware of the effects of consuming media via the internet and the potentially poisonous effect of a world in which everything is but a click away. Of course, a lifelong relationship with high quality fashion design makes an impulsive, wine-inspired binge on ASOS a deeply unlikely situation. Justine told me that there had been a few times where Jonathon had inadvertently ruined an exciting (and expensive) purchase by pointing out how badly it was constructed. To be honest, I think Jonathon could build a tidy side business in accompanying women on shopping jaunts, to help them make well-reasoned choices and to explain just why things cost what they do – in all that spare time he has left. We shared a moment pondering the mountain of polyester that gets turned into very expensive clothes, and which, unlike Kept’s fabrics, will take an aeon to biodegrade. The Carmine Check, made in Germany from 100% cashmere, by a fifth generation family business. They also have buttery-soft gloves made in Naples by a family business founded in 1860. These gloves fascinate me – they fit together like perfect little jigsaws – and the Carmine gloves are on the winter wish list (a perfect match to my Carmine Olson scarf and the beautiful vintage coat I’m desperate to wear, keep an eye out for that combo!). Nothing feels better than wearing something truly special, made by people you know are just truly good sorts, and that’s going to take the edge off winter for me for sure.